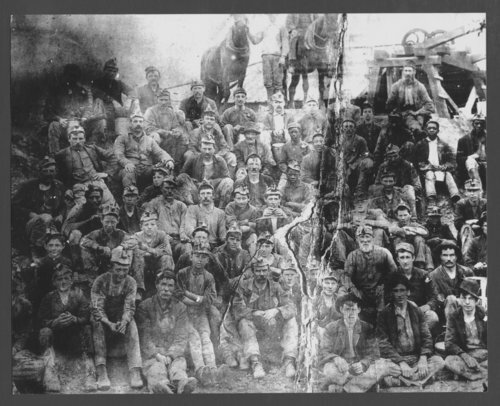 This is a photograph showing a group of miners at a coal mine near Osage City, Kansas. This is possibly the Carlson mine. Regis (Louis) Vialle is in the front row far left.